Work#5 | Web Design Portfolio | omigapun! 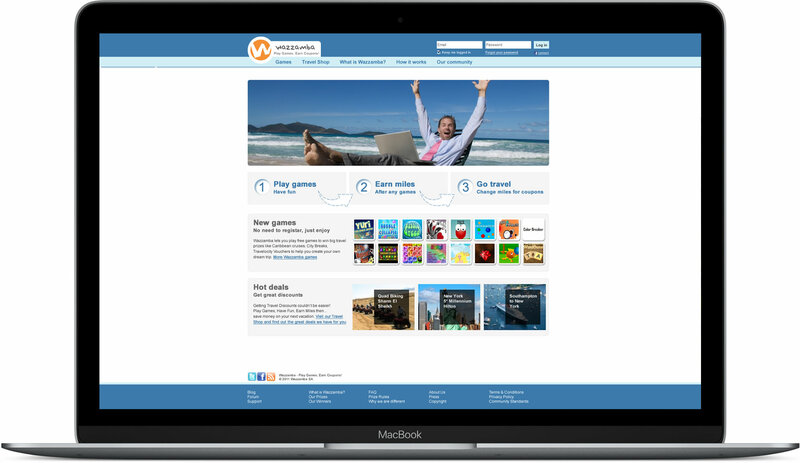 Rebuilding web portal Wazzamba, where users can win travel prizes by playing online games. Along with this rebuild comes a new WordPress blog, icon set, banner ad campaign and social media branding.